It has been found that JYJ’s Kim Junsu and Kim Jaejoong will be enlisting in the military this year. Multiple sources in the K-pop industry have stated that the two singers are currently deciding on a date ahead of their military enlistment. In Kim Jaejoong’s case, he has already been given multiple draft notices, but has pushed back his enlistment due to reasons such as long periods of time spent overseas. However, it has become difficult for him to push back his enlistment any further. Kim Junsu, who received a second grade active duty designation, is also in discussions about his enlistment date. 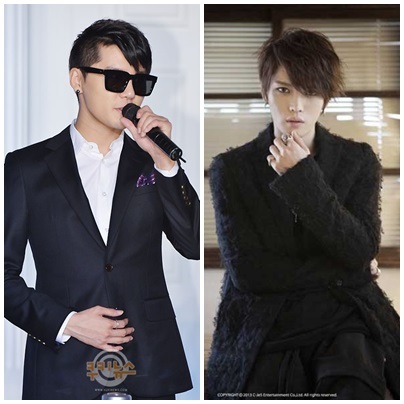 Born in 1986 and 1987 respectively, Kim Jaejoong and Kim Junsu still have a bit of leeway age-wise in pushing back their enlistment, but both have already pushed it back numerous times. All three members of the group became the center of spotlight when they visited the Office of Military Manpower Administration for their physical checkups on the 14th of February, 2011. Kim Jaejoong’s draft notice set his enlistment for September, 2011 but was reported to have been pushed back to the following year. Now, the singer can’t help but be aware of public sentiment surrounding celebrity enlistments. A representative of C-JeS stated, “All three members of JYJ plan to enlist in the military, like every other male in Korea.” However, he did not say much on when exactly the members would be enlisting. Meanwhile, JYJ’s other member Park Yoochun has received a fourth grade reservist duty designation due to his asthma. There is no news yet on when Park Yoochun plans to enlist in the military. [T/N: A few clarifications on military service for those who are worried. – What is the grade system? -What does active duty mean in Korea? Active duty in Korea doesn’t mean anything overseas (for the most part). This usually means the initial training/boot camp period + staying at a base in Korea for the rest of the enlistment. Soldiers get holidays once in a while to leave the base and visit family and friends, which is why it’s not unusual to see people in uniform in the subway or buses. -How long is the enlistment period? Each person can choose which he sector in the military he would like to go to. -Is pushing back your military enlistment normal? Yes! Regular people, not just celebrities, push back their enlistment for various reasons. The most used case is that Koreans who are studying overseas can push back their enlistment date in order to further their studies. In the case of celebrities, most push their enlistment date back till their late 20s or early 30s so it isn’t unusual for JYJ to have done so as well. : ( the time has come. Our boyz – all 5 of them – have to do this as Korean men. It is a matter of when. We will keep the faith until their return to us two years after their respective enlistments. Hope all 5 enlist at the same time, and my wish is for them to re-enter the stage as a reunion DBSK. What a special gift to the fans that would be. I dream a dream of days gone by…. Han Jaejoong will become a real man once he completes his national service. I can’t wait to see his new image. God. I’ll miss them! But i’ll wait.